buffalo tooth were used as a form a currncy in the old days .papua people use this neclace as bribewealth payment and also an item of prestige .There were only worn on special occasions like marrige or special ceremonies . 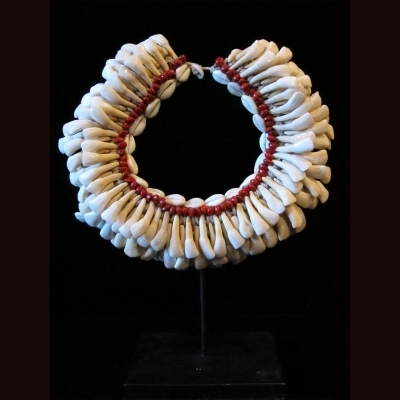 Made of buffalo tooth , cowry shells and red coral-wood beads. item sold with custom stand .